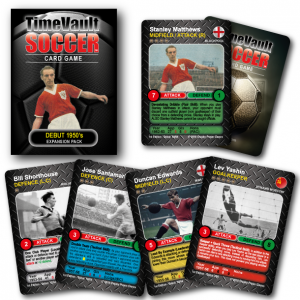 It’s football with time machines… cards, shouting, knee sliding and possibly sulking. 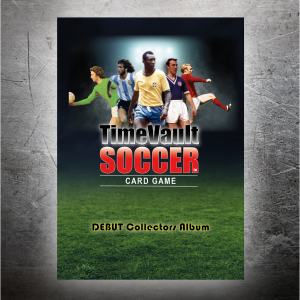 Highly strategic, no two games ever play the same, you custom build your own squad and manage a team of great, good and interesting soccer players from across the decades in a game of soccer. 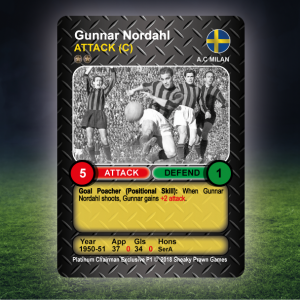 Field your team (it’s your call), attack (that’s ace), defend (if you must), reposition opponents cards (that’s annoying), move or boost your own (didn’t see that coming), produce moments of individual magic (oh no you didn’t) or change your hand to find your keeper and pluck the ball from the air (absolute g*t). If you score the most goals – You win, happy knee sliding! 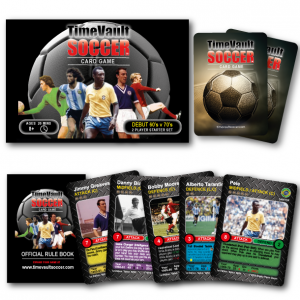 If you draw – Penalty shoot out, “squeaky bum time”. If you score the least goals – you lose… sulking optional. 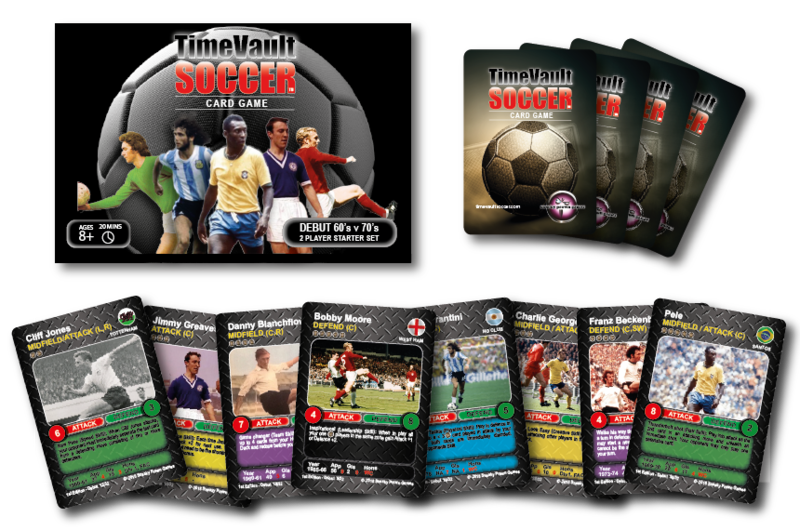 it’s the 60’s vs the 70’s… The Legends are in your hands. 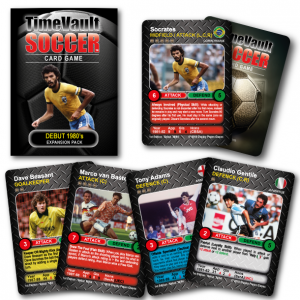 “Debut” is the Time Vault Soccer starter deck and comes ready to play straight out of the box with two pre-set football teams that pitch a squad of 16 players from the 60’s against their counterparts from the 70’s. Keep up to speed with all the news, playing tips and player profiles on our blogOpens in a new window. … any questions about how to play or where to buy then give us a poke Opens in a new windowas we love a good poke!